NOYES M310 OTDR from AFL is specifically designed to address the technical challenges associate with today’s Data Center architectures and network speeds.Inherent in today’s Top of Rack (TOR) or End of Rack (EOR) data center configurations are ultra-short fiber links, more numerous patch panels and cross-connections. At the same time bandwidth demands is accelerating the deployment of 40 and 100G Ethernet. Network uptime is critical in Data Center networks, being able to pinpoint faults to an end of a jumper cable and get the network back on line is crucial. Enterprise networks comprised of multiple connections and short jumpers. • Field proven, compact, rugged product packaging is designed for both outside plant use and cramped inside plant environments. • Set Pass/Fail thresholds compliant with TIA/ISO/user-defined values to alert test operators of failing or marginal events. • New Job creation editor with detailed job/file naming allows users to quickly create file for storing results with flexibility for custom Job, Route, Cable, Fiber file naming. • Structured file management to logically and easily store test results. • Results Manager allows in-unit review saved test results and quick selection of previously created jobs for storing current job test results. • Access general settings including Date/Time/Number format options and an Auto Off feature. • OTDR settings enhanced event measurements with various manual LSA methods available in Expert mode. 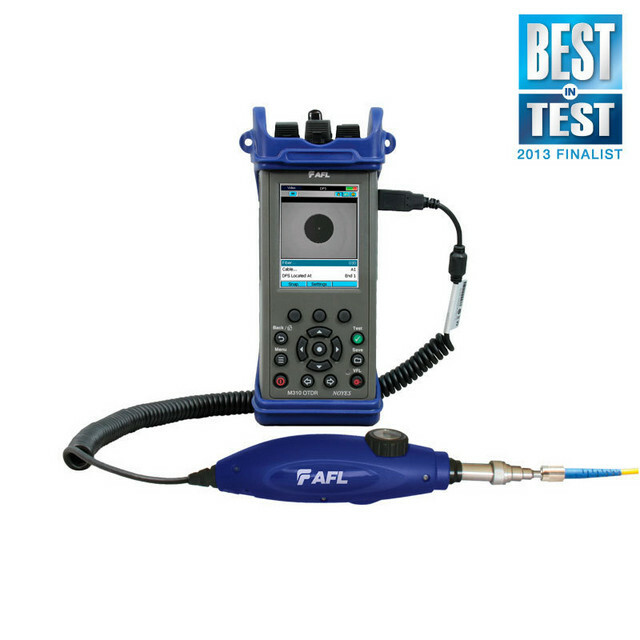 • A simple toggle function enables fast and logical storage of trace, Loss and inspection results from both ends of a fiber/cable.